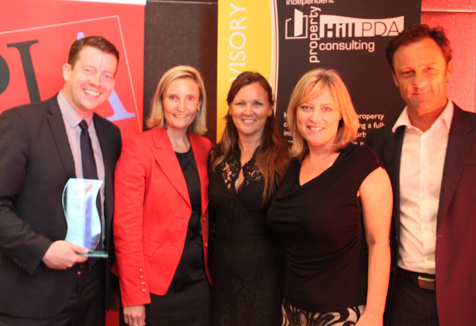 Research led by the University of Western Sydney has paved the way for Stockland to win both the President's Choice Award and Planning for Children and Young People Award at the Planning Institute of Australia's 2012 NSW Awards for Planning Excellence. Professor Karen Malone from the UWS School of Education was commissioned by Stockland to conduct an independent research project that worked with children to design a child-friendly play space in the Brooks Reach housing development in Dapto. The Dapto Dreaming Project involved 150 children aged 5-10 from West Dapto Public School in a series of workshops and activities from April to July 2011. A group of year 5 students then analysed the workshop outcomes and made recommendations to Stockland. 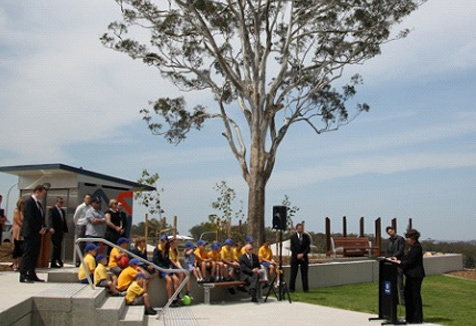 The resulting 6,800 square metre park in Brooks Reach was officially opened on Monday 5th November by Lord Mayor, Wollongong City Lord Mayor Councillor Gordon Bradbery OAM, and Commissioner for Children and Young People, Megan Mitchell. The play space includes secret and shady places for cubby building; rotating, spinning and turning equipment for thrill seeking; and an adventure pathway to connect the old and new neighbourhoods with the school and the playground. Professor Malone says Stockland took an innovative step by asking children what they wanted in the new park that was being planned for their community. "Through the Dapto Dreaming research, Stockland became committed to creating a truly child friendly city – where children have the freedom to independently play and explore their natural environments, and where adults listen to young people and take what they say seriously," says Professor Malone. "It is always pleasing when companies like Stockland are recognised for proactively engaging with children and the community. It was great being able to steer a project where the children's views were taken seriously and see that the whole community will benefit from the experience." Professor Malone attended a special Gala Dinner last night and accepted the prestigious PIA Awards together with Stockland. Stockland State Planning and Design Manager, New South Wales, Brendan O'Brien, thanked Professor Malone for her coordination of the research elements of the Dapto Dreaming Project, as well as the participating children from West Dapto Public School. "In all the work we do we aim to bring the existing community together with new residents, to help communities evolve and thrive," says Mr O'Brien. "This was a fulfilling project on so many levels, and to also have industry recognition is very rewarding."